“Norumu” sent in his Final Fantasy VII tattoo. He says that he didn’t just love FF7, but it was his virtual escape from the pains of divorcing parents. Take note parents out there, did homework ever do that for anyone? Inked by Khalid at Area 51 Tattoo in Crystal Lake, IL. 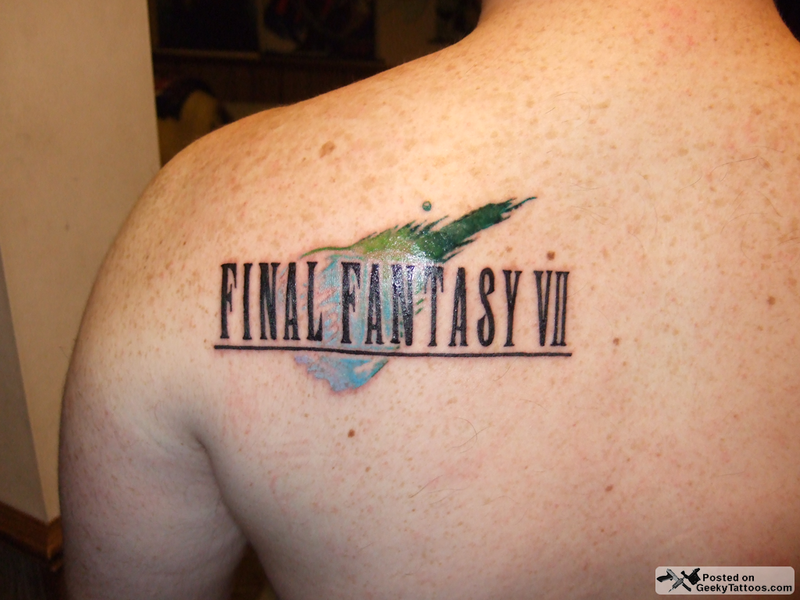 Tagged with Area 51 Tattoo, Final Fantasy, Khalid, shoulder. I see both sides of it. I agree that it is a bit in Your face, as in its not very subtle- with this kind of thing, i personally would want it to be a subtle reference to FF7 so only the fans know. But at the same time, i do like my logos and i would always want the logo to be exactly perfect, and this looks really well done. Looks exactly like it should. I think if it was me, i would get the meteor, but not the writing (even tho i do like the writing). But yeah that is a bit rude, you could have put it nicer. I'm certainly wildly late to this comment, coming across it as I'm going through more tattoo ideas, but I'm sorry that my tattoo displeases you. Too bad it's not your tattoo. It's mine. As much as I would love some little fan reference or a particular piece of creativity to honor the game, I couldn't find a more whole encompassing note than the "cover" image of the game. I couldn't say that I liked a particular character, or a setting, or something cute like a chocobo, or something badass like Ultimate Weapon over any other piece of the game. It's the whole package that is near and dear to my heart. The entire tale, journey, and adventure did wonders to keep me out of life's pains at the time I was playing it. So, I wanted to mark such. My parents didn’t divorce, but this game has helped me in life, anyway. Totally understand what you mean. thats just rude! maybe he couldnt decide on one aspect of the game so chose to honour the game as a hole! rude people.